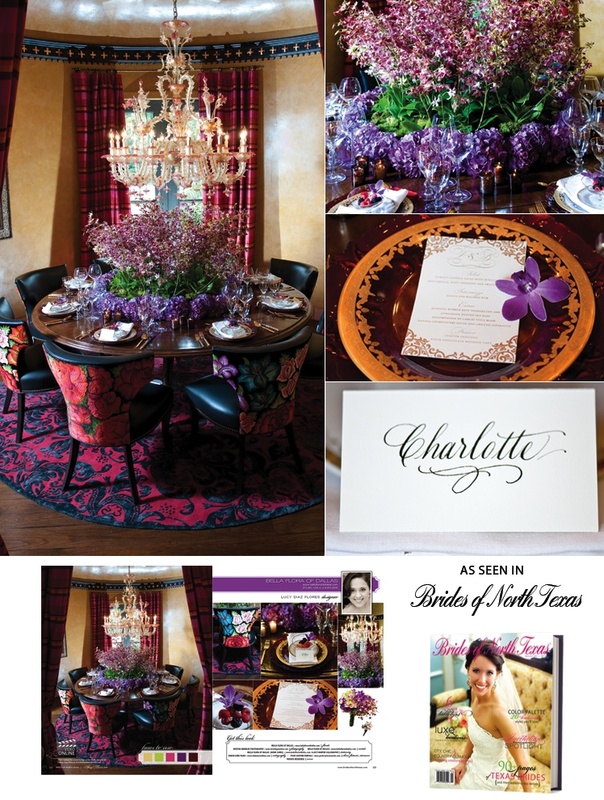 We’re thrilled to share this fabulous, color-drenched tabletop design by Bella Flora of Dallas! The deep shades of wine, plum, fuchsia, lime and cream sets the scene for a truly royal affair! Lucy Diaz-Flores of Bella Flora worked wonders on the detailed décor. 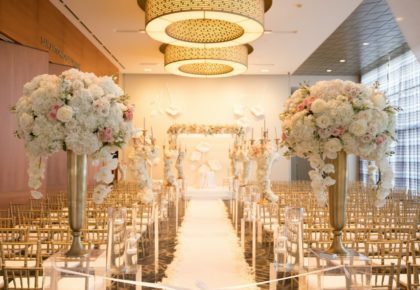 From the pretty flowers, to the unique upholstered chairs, and even the hot pink and navy carpet, every aspect was perfected. Bella Flora teamed up with Lucy Harper Calligraphy and created the beautifully coordinated menu and place cards. Posh Couture Rentals provided the stemware, china and the intricate gold chargers that flawlessly match the menu cards! We love the fresh berries accented with a bright purple orchid atop every place setting! 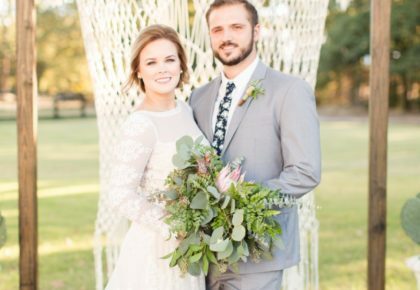 Check out pages 122-123 of the Brides of North Texas for a closer look! 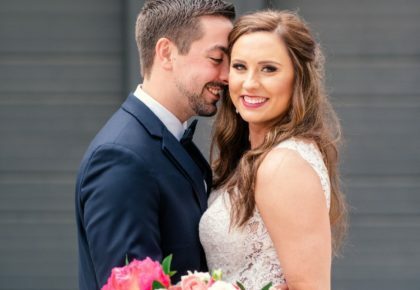 Thanks to Kristin Greenlee Photography for the gorgeous photos and Hakim Sons Films for the behind the scenes video footage! « Previous Post: Fiery Color Combo!